From Disney·Pixar Cars, here is the Mattel 1:55 scale diecast of Manny Flywheel, better known by his sponsor N2O Cola (No. 68)! 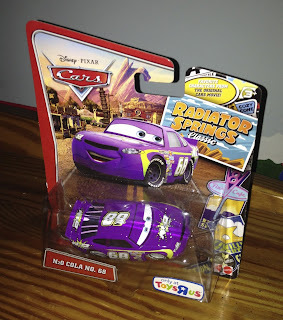 This character has been released a couple of times over the years, but this particular single pack release is from the 2012 Toy R Us exclusive "Radiator Springs Classic" series. As shown in the screenshot above, N2O Cola is briefly seen in the film's opening Motor Speedway of the South race. 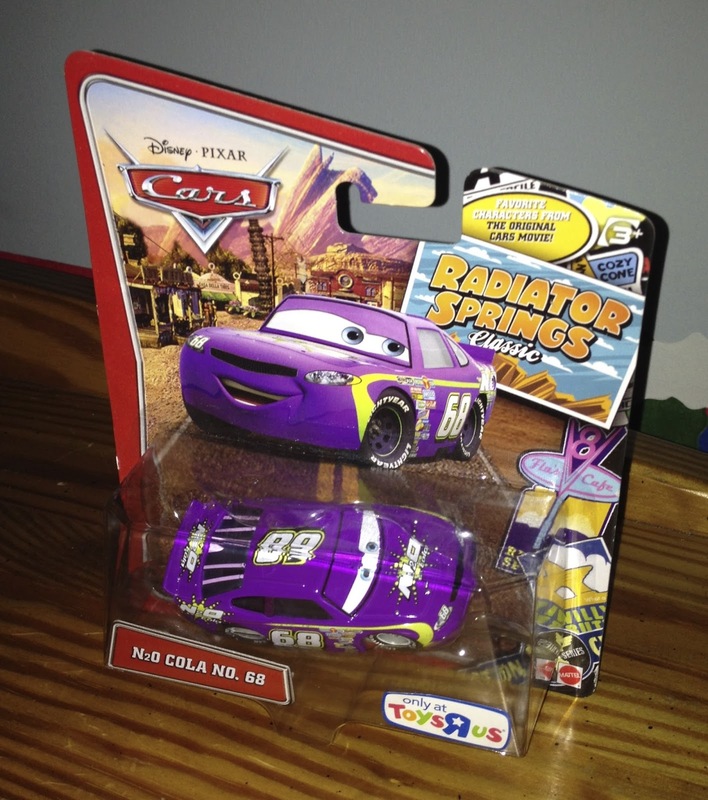 He is one of the 36 race cars competing for the Piston Cup. While this racer isn't available in stores currently as part of this year's line up, you can find him pretty easily online at places like either Amazon or eBay . Have fun on the hunt if you're still looking to add this one to your Cars collection!